May says that he will not return to Top Gear without Clarkson. Me and Hammond with a surrogate Jeremy is a non-starter. It has to be the three of us…I don’t think you could carry on with two people and put someone in as the new Jeremy because they are not going to be the new Jeremy. That would be short-sighted and I don’t think it would work. Virtually impossible. So as not to disappoint the thousands of people around the world who have already purchased tickets, BBC Worldwide has agreed with our joint venture partner Brand Events that the remainder of the tour can continue. Tymon decides not to file charges against Clarkson for punching him in face. I’ve worked on Top Gear for almost a decade, a program I love. Over that time Jeremy and I had a positive and successful working relationship, making some landmark projects together. He is a unique talent, and I am well aware that many will be sorry his involvement in the show should end in this way. The events of the last few weeks have been extremely unpleasant for everyone involved. The matter has taken a great toll on Oisin, his family and his friends….Quite simply, Mr Tymon just wishes to return now to the job at the BBC he loves, as soon as possible. Further, the BBC have, in his view, taken action with a view to addressing the issues at hand. Mr Tymon agrees with the BBC’s stated view that all parties should now be allowed to move on, so far as possible. For me a line has been crossed. There cannot be one rule for one and one rule for another dictated by either rank, or public relations and commercial considerations……..This decision should in no way detract from the extraordinary contribution that Jeremy Clarkson has made to the BBC. I have always personally been a great fan of his work and Top Gear. 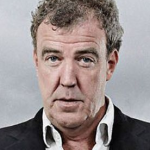 Clarkson thanks his supporters who have called for his reinstatement to Top Gear. The simple truth of the matters is this: Protest never works. Because we are all plankton. And the world is run by whales. Oh, you can be a big and important plankton but that doesn’t make a jot of difference if a whale has decided to eat you up. I don’t know when I did my last ever lap of the Top Gear test track, before the (beep) BBC sacks me. No, I think he has been involved in a bit if a dust up, but I don’t think it’s that serious. In many ways no, I have said many times before the man is a knob, but I quite like him. It’s all getting a bit ridiculous. Jeremy had a massive bust up with one of the male show producers and he ended up smacking him in the face. Everyone was absolutely stunned. I’m having a nice cold pint and waiting for this to blow over. This Sunday’s episode was set to feature Clarkson with co-hosts Richard Hammond and James May working with classic cars such as a Fiat 124 Spider, an MGB GT and a Peugeot 304 Cabriolet. Clarkson begs for viewers forgiveness after he appears to use N-word during filming of an episode of TV series, Top Gear. I didn’t use the N-word here but I’ve just listened through my headphones and it sounds like I did. Is there another take that we could use? Please be assured I did everything in my power to not use that word, as I’m sitting here begging your forgiveness for the fact my efforts obviously weren’t quite good enough, thank you.